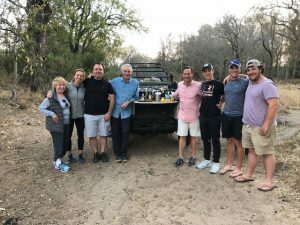 Sometimes nicknamed “3G” vacations as they usually involve three generations of a family, multi-generational safaris have been popular with our clients for some years now – you can read the recent feedback from the Kovensky-Greene family trip here. 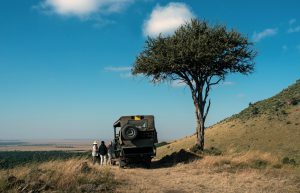 It’s easy to see why: a safari is the perfect opportunity for family members – who sometimes live far apart – to slow their pace of life and to spend quality time together in a magical setting, with no Wi-Fi and where somebody else does the cooking, the cleaning and even the driving! 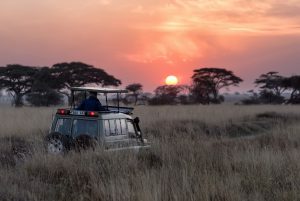 An added advantage is that safaris are all-inclusive – if a family member is treating the group, they won’t get hit by unexpected or unpredictable costs. So, whether you’re celebrating a special birthday or anniversary or simply wanting to enjoy some time in nature together, here are our tips for making the most of your multi-generational safari. Some itineraries in both southern and East Africa can involve short hops on tiny aircraft, which may not be for everyone. Others may baulk at the prospect of long car rides between camps. Sound out all the members of your party before you start planning the itinerary. Younger kids and even young adults might find twice-daily game drives too much, so vary your routine with other activities, such as bush walks, bird-watching excursions, hot air balloon rides or even bungee jumping for more intrepid members of the group. Let teens sleep in and miss the early morning game drives if they want and consider booking a property with a swimming pool if you’re travelling in summer with energetic kids. It’s tempting to cram in as many destinations as you can, but too much packing and traveling will cut into family time and possibly stress you out. We recommend you spend a minimum of three nights at each place. Remember that you’ll be dealing with jetlag at the start of your trip too. Spotting the Big 5 on safari is a highlight for many guests. However, while these animals are beautiful and exciting to see, there is so much more to see and learn about. Children, in particular, are often enthralled by the smaller species and creepy-crawlies such as lizards and dung beetles. Learning about the Ant Lion can be just as fun as watching a pride of lions; and learning about the ecosystem teaches children to be responsible and ethical members of the world. This option depends on your group, but many of our clients include a visit to Cape Town if they’re in South Africa, or Victoria Falls in Zimbabwe. Kenya and Tanzania are close to some amazing Indian Ocean beach resorts, too. Safaris can be quite intensive, with lots of early mornings, and it can be really nice to unwind together afterwards. Lodges and camps are often beautifully small and intimate – but that means that finding accommodation for your whole group is tricky, especially in the high season. Plan as far in advance as you possibly can so that you don’t have to compromise on your first choice of destination or accommodation. If traveling during peak holiday season or the summer months of June, July and August, planning your travel at least 12 months in advance is not too soon. Some camps may even require you to do this, especially if you have younger kids, but it’s worth making sure it happens for a smaller group of adults. This way you’ll be able to go completely at your own pace on your game drives, spending as much or as little time at a sighting as you like. You can also share stories and comments with each other without worrying you’re annoying the other passengers in the vehicle. If you have young kids and aren’t keen on giving them anti-malaria medication, or have older folks who are unable to take the medication, opt for a safari in a malaria-free zone in South Africa. Areas we recommend include Madikwe and Welgevonden, the Eastern Cape and Kwazulu-Natal. Some lodges are more genuinely child-friendly than others, and the best ones are phenomenal – they’ll entertain and educate your kids, leaving you with time to relax (or even nip off for a spa treatment!). Ask about interconnecting and family rooms, too. 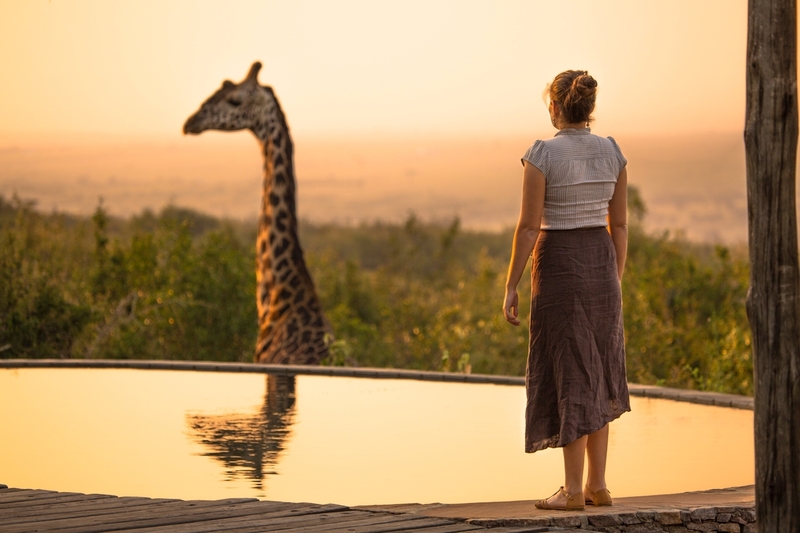 Some of our clients’ favorites are named as follows but as more and more families are choosing safaris as their holiday of choice, our list is growing so give us a call to discuss what might appeal to you. Machaba Camp, Little Vumbura, Chitabe Lediba, and Xakanaxa are all great camps for kids in the Okavango Delta. Saruni Samburu and Saruni Wild in Kenya do a fantastic job hosting children (click here for Anouk’s trip report on her visit to Saruni) – also Lewa, Olonana, Tortilis, and Mara Bushtops. African Bushcamps has a dedicated child program called The Cub Club which is focused specifically on educating and entertaining your children in an interactive way, and is available at all their child-friendly camps including Linyanti Ebony and Somalisa Acacia. &Beyond’s WILDChild programme, designed especially for children visiting their safari lodges and camps in southern and East Africa, is filled with fun, interactive activities that offer opportunities to learn and discover new experiences and cultures. For example, at &Beyond Sossusvlei Desert Lodge in Namibia, kids may experience stargazing as well as Bushman games that teach them the culture of the region, including how to find food and water in the desert. We’ve found this option works really well with larger groups, particularly as it means some venues drop their age restrictions if you’re taking the whole property. Here’s a selection of the kinds of properties you can have all to yourself. Tintswalo Manor House – Great for families, especially with younger children. Waterbuck is a similarly good option in the Timbavati as well. Lamai Serengeti has a private house, MKombe House, about 15 minutes away which has four bedrooms and two swimming pools, one for kids, one for adults – if you’re traveling as a group or family, this is a great option. When the migration passes through, it’ll take place right in front of you. There is also a fun option to do a sleep-out on the deck. Matetsi River House in Victoria Falls enjoys a spectacular setting on the banks of the upper Zambezi River and works well for either families or a small group of friends traveling together. Singita has exclusive use options at Pamushana in Zimbabwe, Castleton in Kruger, South Africa and Serengeti House in Grumeti, Tanzania. 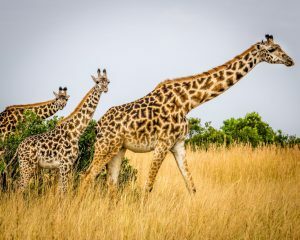 If you’re planning on bringing your kids with you on a safari, read our recently updated blog here and contact us for any other questions you may have.